This is a simple model of a lung system consisting of a chamber with a membrane at the bottom and a tube at the top that branches into two tubes leading to two balloons. 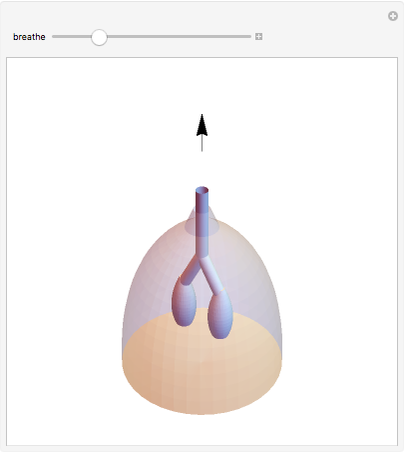 In the inhalation step, the membrane pulls downward, the thoracic volume increases, and the pressure decreases as a consequence of Boyle's law ( ); therefore air enters the lung. 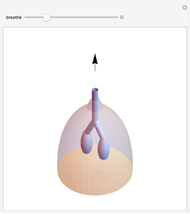 In the exhalation process, the membrane moves upward and air is expelled. 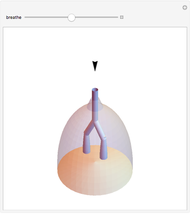 Enrique Zeleny "Lung Model Simulation"